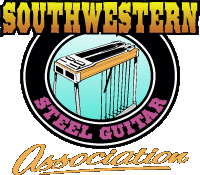 The purpose of this association shall be to promote interest in steel guitar, both pedal and non-pedal, and resophonic instruments. To cause gathering of the membership to come together for "jams", workshops, and holding business meetings. To assist our related communities in fund raisers for causes deemed needy to individuals or organizations. To increase among the public, especially young people, an awareness of our instrument. The SWSGA was founded by Troy Porter, Ray Jenkins, and Billy Easton.